Then little budy said I want to look like a m416 made of steel and plywood! I mean my trailer has suddenly gained the ability to speak, and this gives be a reason to buy a plasma cutter vs figure out why my homemade one isnt working Why not!? Last edited by DeathBlade556; 03-26-2016 at 11:58 PM. More surgeries than Bruce Jenner. I like the matching wheels and all your shop toys. Geez, I just watched the making of "Le Mans" on Showtime, and I think this trailer build was more complicated! 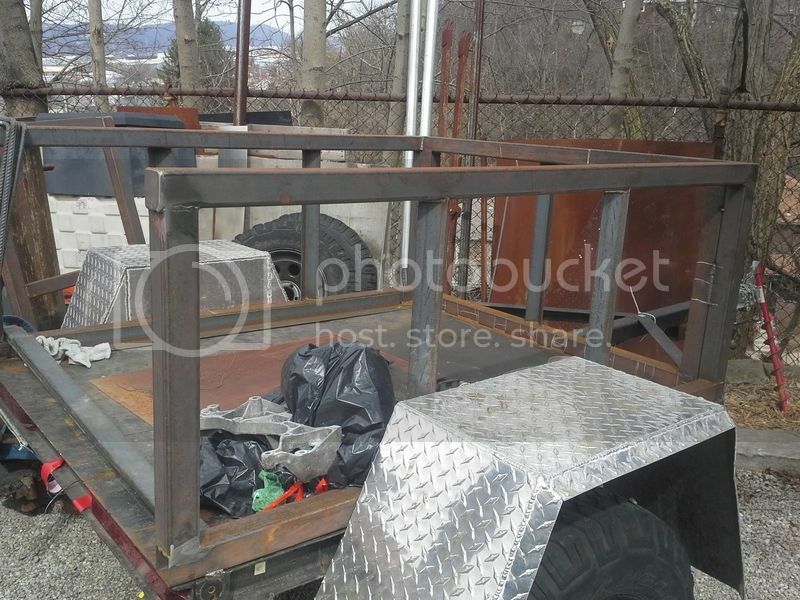 Bad news is... now I wanna build a trailer/toter!!! "You can't polish a turd but you can roll it in glitter"
Not to be critical of so much work, but you do realize why there have been so many rebuilds of this of course? No MSPaint diagrams. Enough said. It's about to get all kinds of stupid up in here! Go new tail lights and guards since I smash the lights into every obstacle l I can find. Along with the new tail pull latches. have you finished this build? In January I got bored so I make side walls out of some sheets of abs I had laying around. Well I was moving a small milling machine in the trailer and the minivan springs have been shown to be lacking. 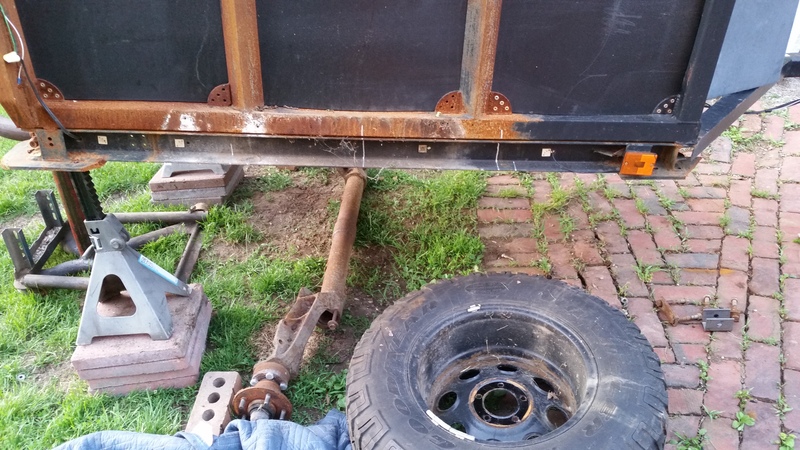 So anyway I took out the old springs then found I needed better fenders welded up some frames out of angle and clad it with 14g thread plate. And some 3500lb spring set later and a axle flip I'm almost there! Last edited by DeathBlade556; 08-15-2018 at 11:02 PM. I have a small crane I'm going to mount on it when its warmer. And I mounted some large ammo cans (20mm) on the tongue for storage. And I was this weekend (well before it was going to be -2* outside) I was going to cut off the corner brackets that hold on the plastic panels and replace it with strips of 1 1/2"x 1/8" steel flat to help hold the plastic in place better. But I need to get more c02 welding with my new fabraicator 252i with 100% argon is spray transfer welding all the time. 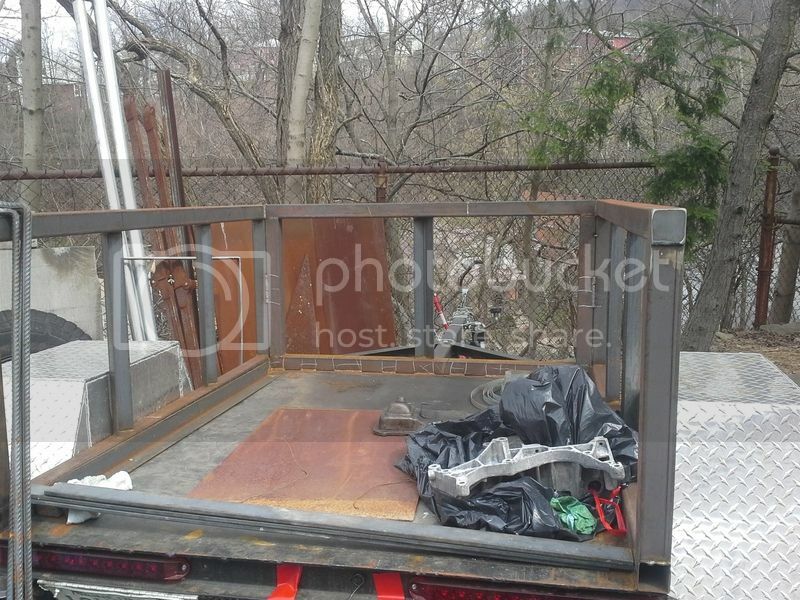 Are you done rebuilding your trailer? Post some pictures when you can. Nope, not yet. I want to redesign the rear door hinges, then drill out the rivets for the side panels and put in some 1 1/4"x 3/16" flat bar long the edges the corner clips just dont hold the ABS panels in right.